In the UK we have got used to getting “what we want, when we want it”. So began Hugh Fearnley-Whittingstall’s latest instalment of his War on Waste. And he continued: “the cost of consuming so much stuff is waste… mountains of it”. Last year witnessed his campaign for supermarkets to reduce food waste, and this year he has turned his attention to lack of recycling of coffee cups and the excessive packaging used by some online retailers. It won’t have escaped anyone’s notice that the number of coffee shops in our towns and cities has grown rapidly over the past decade. As a consequence the number of disposable cups thrown away has exploded to an estimated 2.5 billion a year, or around 5,000 every minute. The sheer number of cups is clearly staggering, but the real controversy covered by Fearnley-Whittingstall’s programme was that these cups are not being recycled – even though the companies claim to be making efforts to do it. 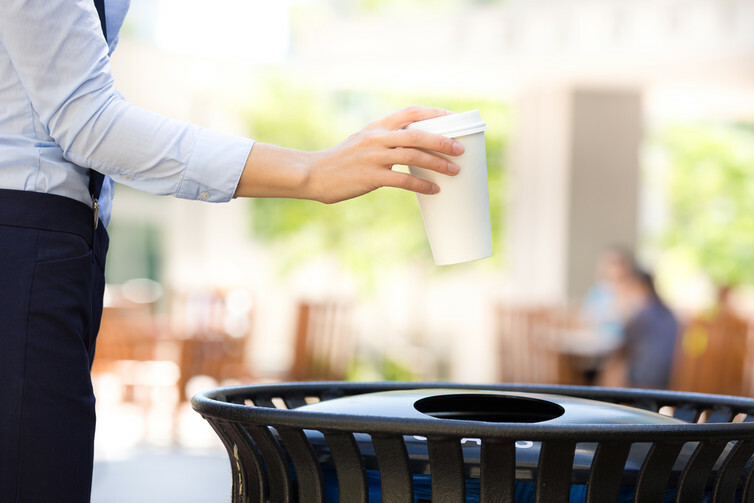 Many consumers assume that coffee cups can be recycled. In fact, it is not that simple. Most coffee cups are lined with a layer of polyethylene which makes the cup waterproof, but makes it difficult for the cup to be effectively recycled, because it can’t be easily separated. There are few recycling facilities that can process this kind of cup. Even though some coffee chains say that they have largely recyclable cups, the evidence presented was that most cups were not sent for recycling. There are estimates that fewer than one in 400 cups get sent for recycling. The TV show suggested that only one facility in the UK had the capability to recycle some of the chain coffee shop cups, but that very few were actually even sent there. Overall it is estimated that 0.1% of cups are recycled. The upshot is that millions of consumers each week are putting their coffee cups into recycling bins and they are not being recycled. 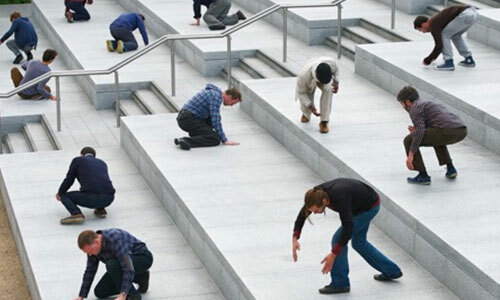 It is misleading for the thousands of people every day who thought they were doing their bit. The consequence of this, according to Fearnley-Whittingstall, is that the public think they are already recycling and therefore don’t know there’s a problem – so they don’t ask for a solution. As with many celebrity-backed TV campaigns, this one has received significant attention both on social media, and in the newspapers, with the large high street coffee shop chains being lambasted for their recycling failures. The coffee shop industry is one of the most successful retail sectors in the UK. There are more than 18,000 outlets today – and industry estimates suggest this could grow to more than 27,000 by 2020. That signals a troubling trend for more and more disposable coffee cups to end up in our landfill sites. Unsurprisingly, the main targets of the War on Waste coffee cup campaign were the big coffee shop chains: Costa, Starbucks, and Caffè Nero. There have been some responses, in particular from Costa, which publicly responded on Twitter to say the company acknowledged the issue and welcomed innovation in the area of takeaway cups. It also published infographics to indicate its commitment to addressing the problem. The issue of disposable cups as an environmental problem is not new and has been discussed for many years within the industry. And it is still possible that steps can be made to make better recyclable cups and improve the process by which they can be recycled. But there are other efforts that can be made too. Estimates from retail and hospitality consultant Allegra Strategies suggest that one in five people visit a coffee shop on a daily basis (up from one in nine in 2009). That means there is a huge population of coffee drinkers which, if it changed its consumption habits to carry a reusable coffee cup, could make a massive impact on disposable cup usage. 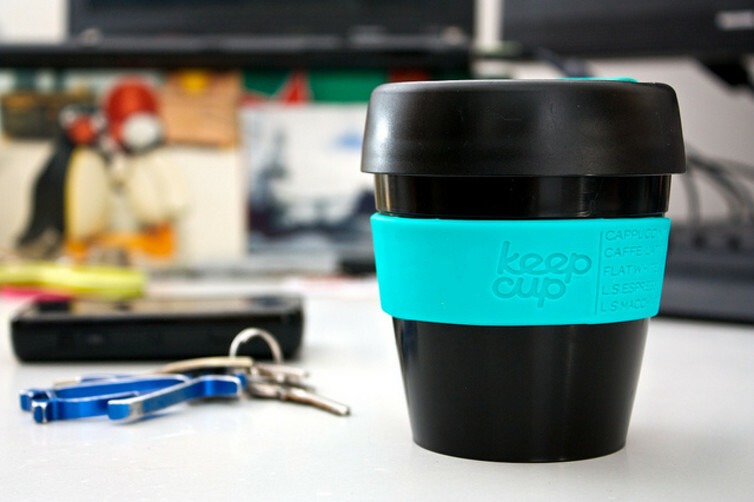 There is an increasing range of reusable coffee cup options on the market. There are those offered in the chains themselves, but also from other providers – Keep Cup and Joco Cup are just two examples. Businesses can encourage this process too, as some have been doing, for example Boston Tea Party, which offers discounts on drinks when people use reusable cups, and through other efforts to work towards more sustainable solutions, such as recycling coffee grounds or sustainable building projects. Business can also make coffee cup recycling more mainstream in the UK, building on pledges made as part of the Paper Cup Manifesto backed by a range of coffee shop industry stakeholders. Fearnley-Whittingstall stated on the show that “waste is an environmental disaster we can all do something about” – and, if the coffee shop industry can make efforts to provide more recyclable cups, the public should think about its role too. We should not only be pressuring these companies on Twitter, but addressing our own habits in a concerted effort to wage this “War on Waste”.